Some personal injuries can have a lifelong effect on the victim. Such is the case with eye injuries, which can permanently damage an individual’s ability to see the world. Even in circumstances where the victim is not rendered permanently blind, vision impairment and side effects can still prove debilitating and psychologically devastating. At Taylor & Ring, our experienced Manhattan Beach eye injury lawyers have obtained significant verdicts and settlements for severe injuries, including recoveries for blindness and serious eye injuries. We know what it takes to establish liability, and we excel at maximizing compensation for permanent disabilities. If your eyes were damaged through the negligence of others, we will vigorously pursue justice on your behalf. What kinds of accidents can lead to vision impairment? The risk of vision impairment is present under a multitude of circumstances, but some situations carry a higher probability for this type of injury. Individuals who work in industrial or construction occupations are at a higher risk for eye injuries, which is why many owners and managers of industrial worksites are legally required to promote eye safety and provide eyewash stations for immediate treatment of an eye injury on the job. Victims of vehicle accidents commonly experience significant eye injuries, particularly from the impact of an airbag deployment or due to the introduction of a foreign object into the eye during the crash. 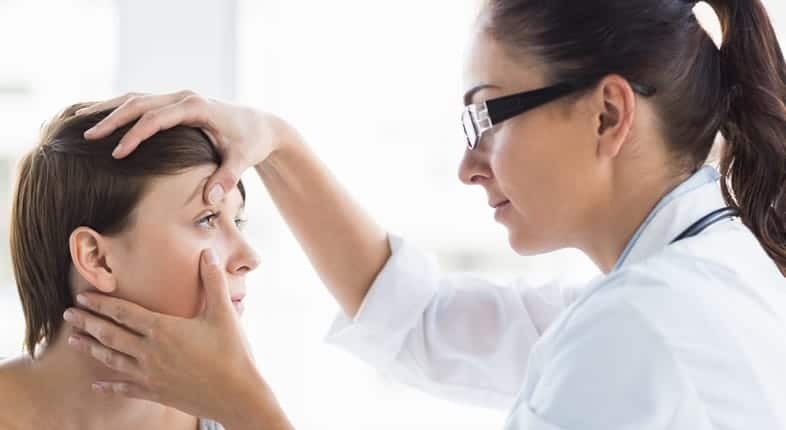 Sporting injuries and recreational accidents are also among the circumstances that can lead to temporary vision impairment or permanent blindness. Direct trauma. This injury occurs when a person or object directly hits the eye. The victim may experience blurred vision, sensitivity to light, and pain. Blood may also collect in the eye, causing a black eye. Exposure to intense light. When the eye is exposed to ultraviolet lights, the cornea may be injured. Exposure to welding equipment may cause this type of injury, as well as tanning booths and sunlamps. Exposure to toxic substances. Toxic substances can cause extensive burns when introduced into the eye. These injuries are particularly common for individuals working on industrial or construction sites. Swelling, impaired vision, light sensitivity and severe pain may result from this type of injury. Foreign objects. Industrial sites also create a significant risk for foreign objects to enter the eye. Dust, wood or various other types of debris may get into the eye, damaging the cornea and impeding eyesight. Our skilled Los Angeles eye injury attorneys have represented vision impairment victims stemming from motor vehicle accidents, workplace injuries, assaults, slips and falls, and all types of personal injury accidents. Our trial lawyers put in the time and effort to fully investigate the incident for the identification of any and all culpable parties. We then employ our substantial resources to take on these parties and hold them financially responsible. Whether they are insurance companies, manufacturers, major employers or property owners, our lawyers prepare a comprehensive case and aggressively fight to secure the compensation your injuries deserve. Our skilled attorneys work with the family, as well as doctors and other professionals to portray the long-term economic and personal impact of vision impairment. We pursue compensation for surgery and rehabilitation (if applicable), along with appropriate damages for blindness or vision loss, facial disfigurement, lost earnings and future lost earnings. Our attorneys also work to ensure that the compensation amount includes consideration for the psychological impacts of blindness. Vision is a vital part of an individual’s perception and the sudden loss of eyesight can have severe effects on a victim’s mental health. That is why we fight for an award that not only accounts for physical pain and suffering, but psychological counseling needs and a reduced quality of life. We understand the magnitude of these injuries and work to ensure that you and your family have a monetary award that adequately meets all of your injury-related financial needs. The knowledgeable Los Angeles eye injury lawyers at Taylor & Ring understand the various challenges of dealing with a severe personal injury. We connect clients with medical experts and support services, so they can focus on healing while we are building a case for compensation. To schedule a free consultation with a Manhattan Beach blindness injury lawyer, call us at 310-776-6390 or complete our contact form today.